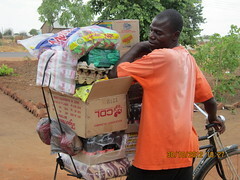 Work continues on the development of the plan for a pilot of the ColaLife concept in Zambia based in the outcome of our recent trip to speak with stakeholders there. 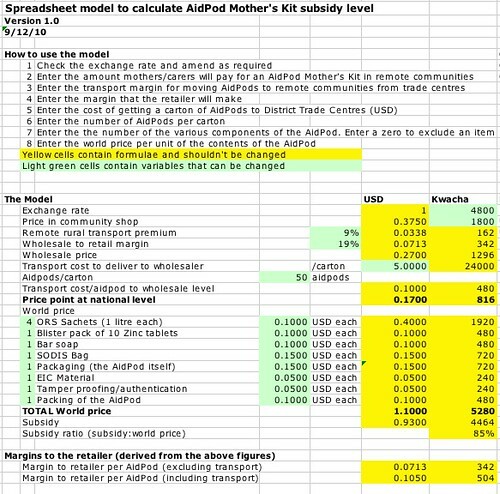 Here’s attempt to identify the key variables and create a model to calculate the level of subsidy that would be required to make the AidPod Mother’s Kits affordable in remote rural communities. It’s an Excel Spreadsheet that can be downloaded here: Subsidy level calculator v1.1 (XLS, 25 KB). Any comments on the model would be gratefully received. Please email (see Contact Us) or comment on this post. Thanks. 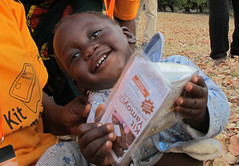 RT @colalife: Any Excel/Logistics wizards available to cast their eyes over this? https://bit.ly/i2Ai00 <- can some1 help, real good cause!